The Bella's house is significant because it is the last remaining vestige in this area of what Richmond Road originally was (the original road west, the first maintained road, a toll road, a country road line with the impressive estates and villas of some of the area's most esteemed residents of the era). The loss of Bella's marks a true end of that era for Richmond Road/Wellington in the Wellington Village area. I searched hard in 2015 for a photo of the old toll house to use in my articles, but was unsuccessful. 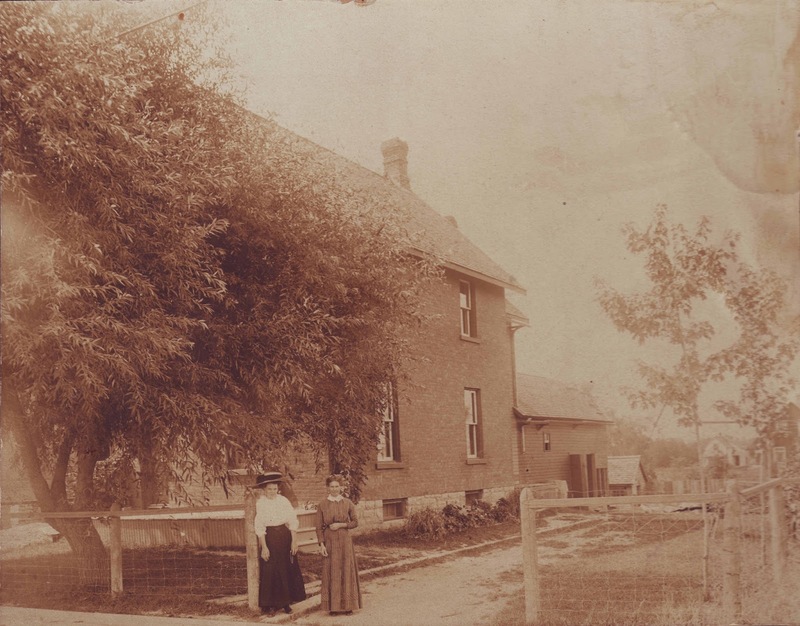 However, within the last few weeks, I acquired an amazing archive of local history photos and documents, and included in it, was a photo from 1911-1912, of the toll house! So I am happy to be able to share that today below. Keep in mind, the toll house would have stood almost at the corner of what is today Island Park Drive. 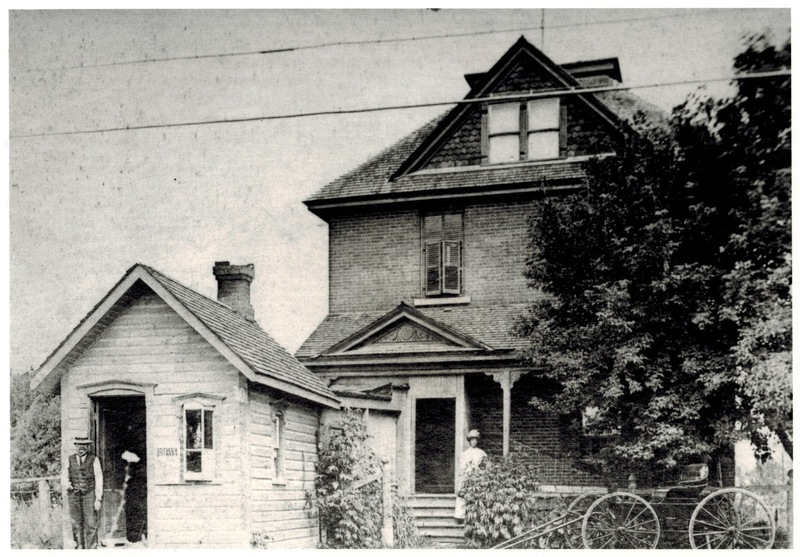 Richmond Road toll house, circa 1911-1912. Pictured is toll master Richard Bassett and likely his wife. Richmond Road continued to operate as a toll road until 1922 (the opposite end of the toll road was in Bells Corners), and the toll house was eventually torn down in 1929 to make way for the gas station that operated in this location for many years. Always a good feeling to find a much-sought after photo! This week's new Kitchissippi Times issue includes a column I wrote that focuses on the under-appreciated francophone history of Hintonburg-Mechanicsville. It speaks to the how and why both neighbourhoods developed with largely French populations, and tells the story of one man in particular, Francois-Xavier Sauvé. Sauvé was one of the first to invest in the new subdivision of Mechanicsville (his 1872-built house still stands on Carruthers Avenue), and he was a significant contributor to community and church life in Hintonburg. His descendants number in the hundreds today (including yours truly). Here is F.X. 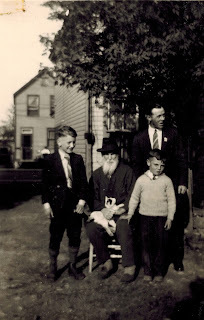 Sauvé around age 90, in the yard behind his family's home at 80 Carruthers. He is with his grandson Alfred Sauve, and his great-grandson (my grandfather) Ted Sauve (at right, in sweater). I'm not sure who the other young boy is in the jacket and tie.